Walking in two worlds but truly belonging to neither, half-elves combine what some say are the best qualities of their elf and human parents: human curiosity, inventiveness, and ambition tempered by the refined senses, love of nature, and artistic tastes of the elves. Some half-elves live among humans, set apart by their emotional and physical differences, watching friends and loved ones age while time barely touches them. Others live with the elves, growing restless as they reach adulthood in the timeless elven realms, while their peers continue to live as children. 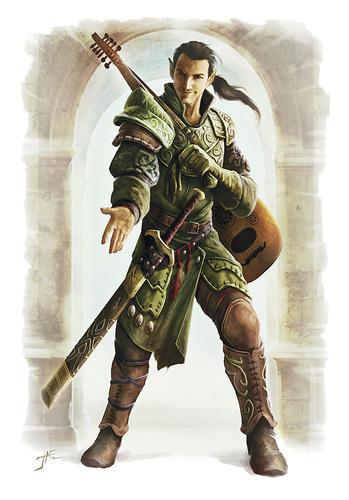 Many half-elves, unable to fit into either society, choose lives of solitary wandering or join with other misfits and outcasts in the adventuring life. Many half-elves learn at an early age to get along with everyone, defusing hostility and finding common ground. As a race, they have elven grace without elven aloofness and human energy without human boorishness. 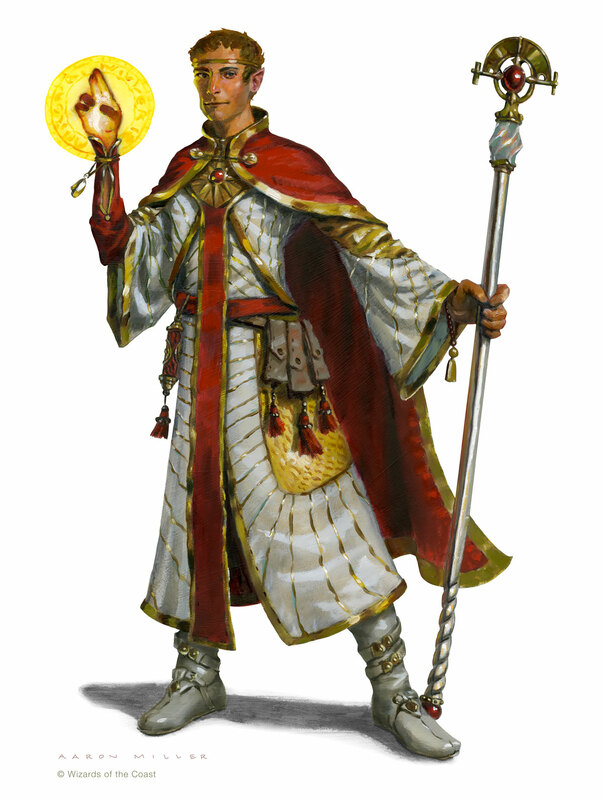 They often make excellent ambassadors and go between (except between elves and humans, since each side suspects the half-elf of favoring the other). Half-elves have no lands of their own, though they are welcome in human cities and somewhat less welcome in elven forests. In large cities in regions where elves and humans interact often, half-elves are sometimes numerous enough to form small communities of their own. They enjoy the company of other half-elves, the only people who truly understand what it is to live between these two worlds. In most parts of the world, though, half-elves are uncommon enough that one might live for years without meeting another. Some half-elves prefer to avoid company altogether, wandering the wilds as trappers, foresters, hunters, or adventurers and visiting civilization only rarely. Like elves, they are driven by the wanderlust that comes of their longevity. Others, in contrast, throw themselves into the thick of society, putting their charisma and social skills to great use in diplomatic roles or as swindlers. Half-elves use either human or elven naming conventions. As if to emphasize that they don’t really fit in to either society, half-elves raised among humans are often given elven names, and those raised among elves often take human names. Darkvision. Thanks to your elf blood, you have superior vision in dark and dim conditions. You can see in dim light within 60 feet of you as if it w ere bright light, and in darkness as if it were dim light. You can’t discern color in darkness, only shades of gray. There are no subraces of half-elf because half-elves are always born from human and elf parents. The subraces traits here are more like cultural traits, if you were raised by humans or elves. Choose one based on who raised you. 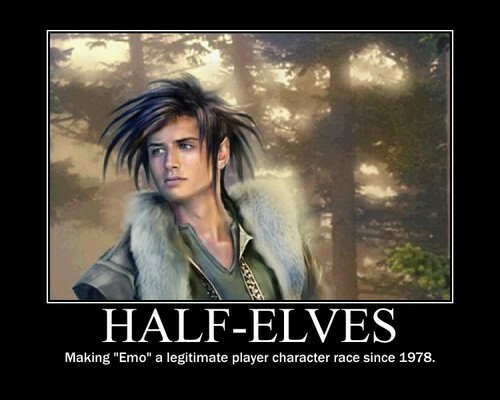 Half elves who were raised by their human parent gain the following traits. • Skill Versatility. You gain proficiency in two skills of your choice. Half-elves who were raised by their elf parent gain the following traits. 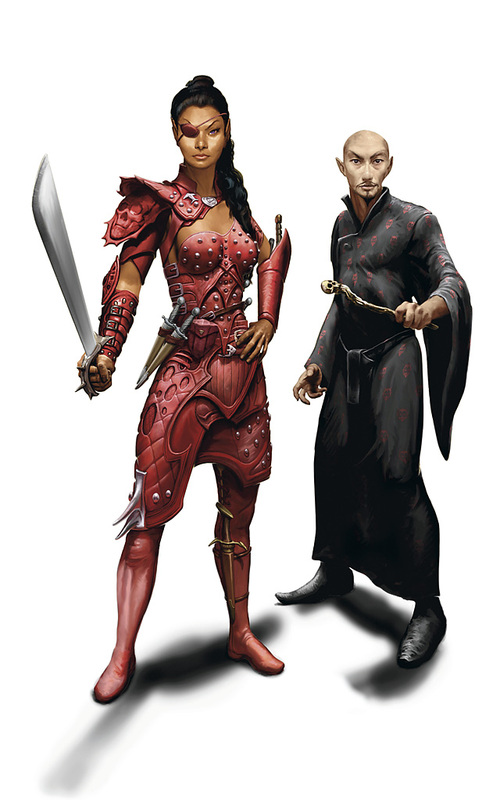 • Parent Subrace Elven parents may have taught the half-elf another trait based on what type of elf the parent is. • Cantrip. You can speak, read, and write one extra language of your choice. • Forest Dweller. Choose one of the following. 2. Mask of the Wild. • Swimming Speed. You have a swim speed of 30 feet. The eladrins connection to the feywild prevent them from having children with humans.